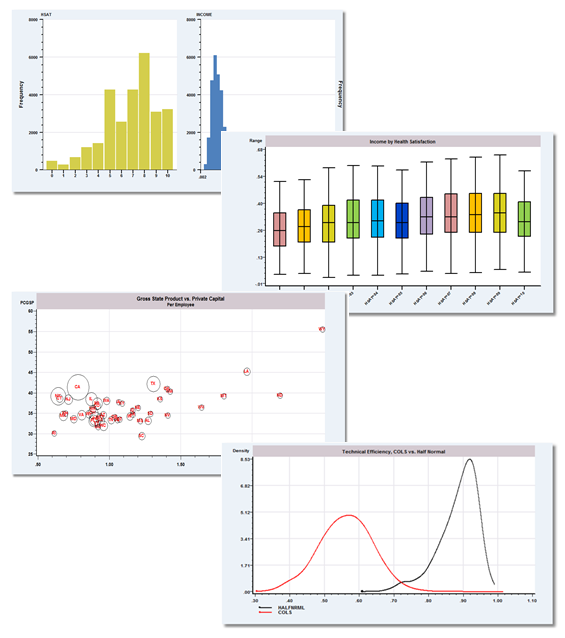 Econometric Software, Inc. has produced the world’s most recognized solutions to analysis of cross section and panel data for over 25 years. We have provided tools for students and researchers in universities, government agencies, nonprofit organizations, and private industry throughout the world. 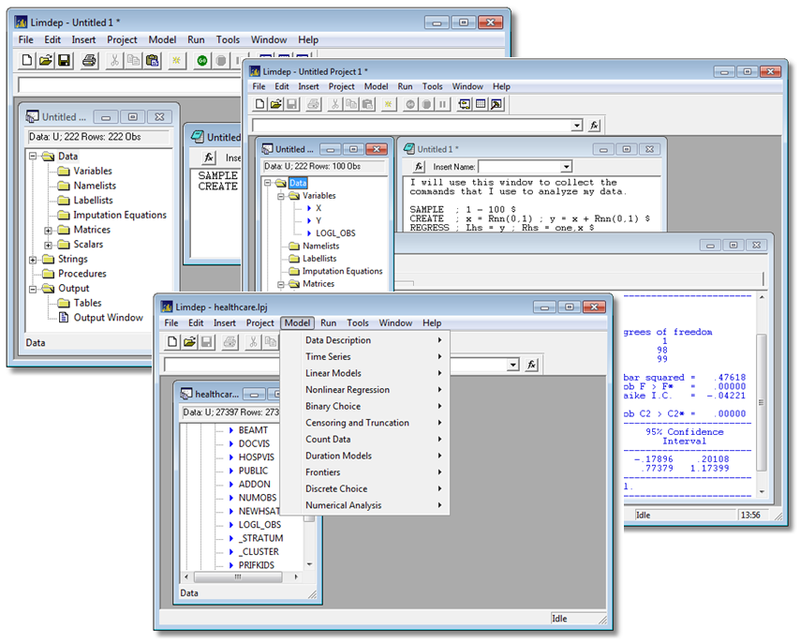 ESI has been a consistent innovator of frontier techniques in econometric and statistical analysis including pioneering techniques in panel data analysis, frontier and efficiency estimation and multinomial logistic regression. You’ll find us in applications in banking, government regulatory authorities, official statistics bureaus, public planning authorities, at central banks around the world, public utility authorities, marketing research institutes, agricultural authorities, automotive companies, social research departments, medical research institutes, and thousands of other diverse private, government, and educational sites where powerful modeling tools are used. Let LIMDEP and NLOGIT make an impact on your organization. What’s New in LIMDEP Version 11 Software?